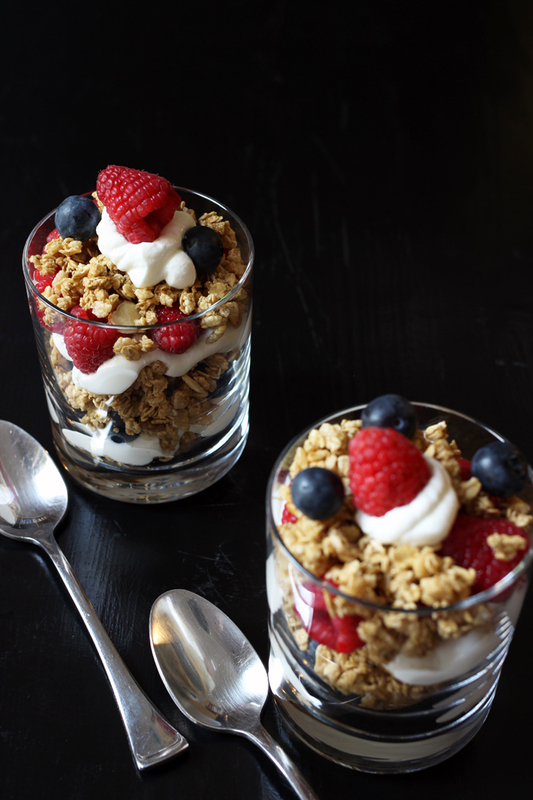 A Yogurt Berry Parfait makes for a delicious breakfast, snack, or dessert. It feels indulgent, but can actually be quite good for you. 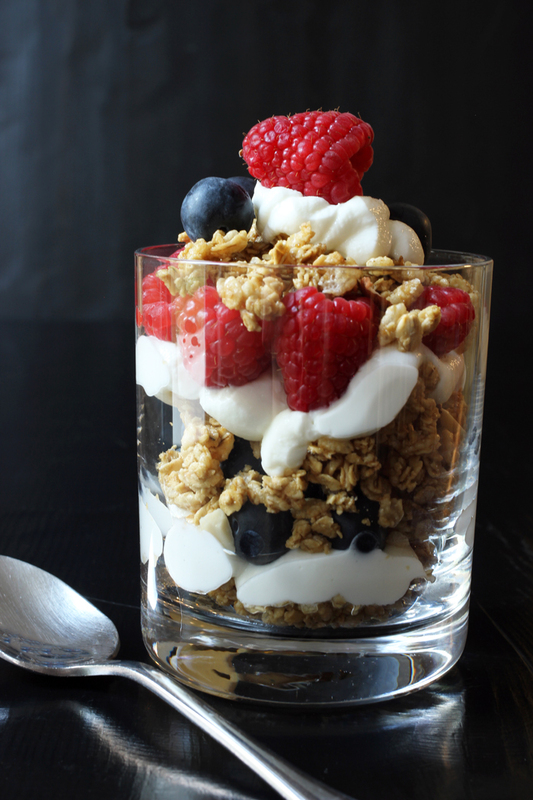 One of my favorite breakfasts is a Yogurt Berry Parfait. I first learned to make one when I worked in a fancy bakery many moons ago. I’m sure that we charged our patrons $5-$6 per serving. But, you can make your own scrumptious version at home for much, much less. This is the ideal frugal food, provided that you buy the ingredients on sale. I often buy plain yogurt for about 25-40 cents per serving. Oftentimes the flavored varieties are full of junk that you don’t need, like food starch and high fructose corn syrup. I find that by adding fresh fruit to the yogurt, I don’t mind its being plain. There’s quite a bit of taste difference amongst manufacturers, so try several different kinds until you find the brands you like. The recipe calls for granola. This can be extremely pricey. But, if you make your own granola or find a great cereal deal, you can keep the cost of this dish low. In fact, with coupons and sales, I regularly find granola-type cereals for less than $1. You can also substitute some other type of cereal if you prefer, like Rice Krispies. Be aware that the cereal won’t stay crisp for long, so you’ll have to eat it quickly. Granola holds its crunch much longer.